For over 25 years we’ve been creating Celebration Cheese Cakes for parties, events & wedding venues all over the UK. Whether for an intimate party or a large gathering, we have designed a SELECTION OF CHEESE CAKES to provide a balanced range of cheeses (goat, soft, hard, washed rind & blue) to ensure the perfect cheese course for you and your guests. 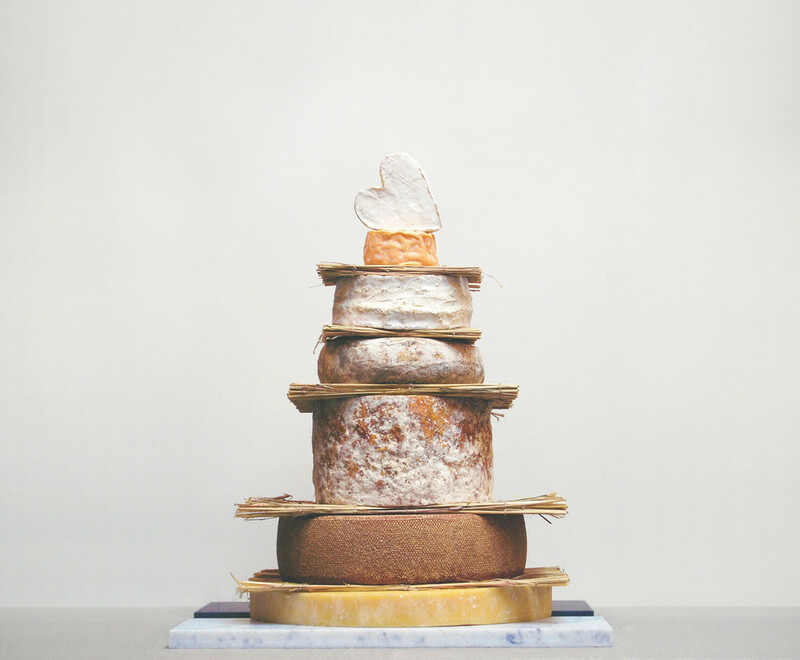 We know that the most stressful part of planning an event is often in the details - if you or someone you know is tying the knot soon, we’d love to share our expertise and help you create a spectacular display of cheese in celebration of your special day. Once you've decided your wedding date and venue, get in touch by emailing Andrew at cheeseroom@lafromagerie.co.uk to book a consultation at either our Marylebone, Bloomsbury or Highbury branch - in your email, please state at which location you would like to book the appointment. In the meantime, BROWSE OUR CHEESE CAKE OFFERINGS for inspiration, although we're happy to create a bespoke selection for you and we can discuss this in more detail at your consultation. Once you've chosen your cheeses, we can liaise directly with your venue to handle the logistics and planning. We'll arrange delivery two days in advance of your event, and we'll include detailed assembly instructions and tasting notes for your guests. To complement your cheese selection, we recommend our LA FROMAGERIE BISCUITS FOR CHEESE along with seasonal & dried fruits. With our wide selection of French and Italian whites and reds and English whites, we'd also be delighted to recommend wine pairings to match your chosen cheeses. And since no celebration is complete without a bit of bubbly, we'd recommend our LA FROMAGERIE HOUSE CHAMPAGNE, from P. Louis Martin in the village of Bouzy.